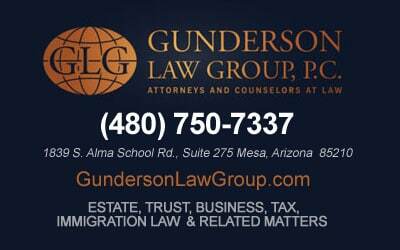 Helpful Guide To Arizona Estate Planning Law By Gunderson, Denton & Peterson, P.C. There are several factors one must consider when researching Arizona estate planning. 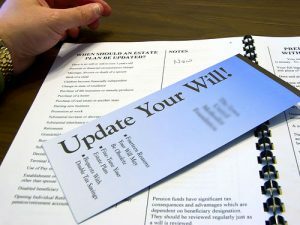 One can find resources that may suggest that estate planning can be accomplished without the insight of a trusted adviser. Certainly, some people may want to take this path. Others, however, will want to find a qualified Arizona estate planning lawyer. One such noted group of professionals are affiliated with the firm of Gunderson, Denton & Peterson, PC. This is a highly respected firm where you can find an excellent and well-versed estate planning attorney. Gunderson, Denton & Peterson, PC is made up of Mesa estate planning lawyers. These dedicated professionals have more than two decades of experience in the Greater Phoenix region. This professional group is dedicated to superior service tailored to each individual’s personal concerns, and these Mesa estate planning attorneys are noted for their exceptional quality of work and service. Take charge of your estate, and secure the future of your loved ones. Consider making a formal estate plan with Gunderson, Denton & Peterson, PC. Driving Directions From Phoenix to Gunderson, Denton & Peterson, P.C.